Bedford Gourmet, an upscale and trendy monument of delicacies and occasions resounds on Old Post Rd in the Historical Bedford Village. A charming oasis outside of New York City in Westchester County. On any given day they are whipping up unique specials like ginger soy salmon and grilled cauliflower with balsamic glaze, while also staying true the original staples that first made them famous such as curry chicken salad and celery remoulade. Their delicious selection of daily sandwiches can not stay on the shelf long enough, nor can their home made soups and variety of salads and proteins. Behind the scenes though, is where the catering magic occurs. They are planning, organizing, and producing everything from local photo shoots to intimate degustation with wine pairings. Their eclectic menus can satisfy your family summer bbq and your high end catered affairs like weddings and anniversaries. The Bedford Gourmet will handle everything from adornments like tablecloths and candle sticks, to the serving of sumptuous meals and meze tables, to all the after party requirements. The success and allure of the Bedford Gourmet goes beyond their flair for choosing international products like Italian and Grecian Olive Oils and French Fleur de Sel and mustards, to their embracing of local farms and the sourcing of ingredients from such locales as Skye Farm and Hudson Valley Harvest. Additionally, many of their products are made locally including Susie’s Smart Cookies, Bobbysue’s Nuts, The Gracious Gourmet, Rick’s Pick’s, Harney and Sons Teas, Joe’s Chips and Drinks, Hudson Standard, Immune Schein Elixirs, Oliver Keta, Fresh n’ Free, and Taconic Distillery. Other unique sweets and savories includes products from Big Picture Farm and their goat’s milk caramels, Divvies cookies, candies made w/out peanuts, tree nuts, eggs or milk and various Hudson Valley cheeses. Debbie Franzese has been living the catering and restaurant business for over 35 years, perfecting her craft as a true Culinary Artist. This journey has led her to New Jersey, Manhattan and Westchester, working for some of the most prestigious caterers and well known restaurants. She owned and operated her own catering businesses and was head chef of Bedford Gourmet for many years, which led her to procuring the establishment, with her business partner Alexandra Walsh. Alexandra leads the front of house for the gourmet shop side of their enterprise. She opened her first gourmet shop in 1993 and has expanded her abilities to discover unique and local market products. With a party planning and floral design background, her creative talents are apparent the moment you walk in the door of their store and carry on into exceptional catered affairs where the partners combine their attributes of food design and event envisioning. 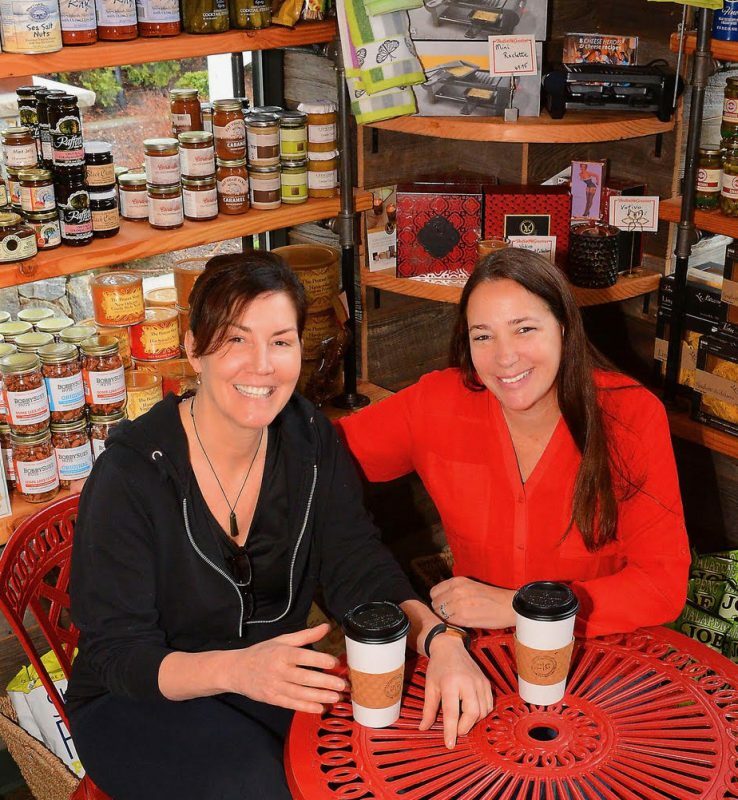 Both women are celebrating their 8th year owning Bedford Gourmet and look forward with anticipation to expanding the success of their gourmet shop and catering business in the upgraded location at 460 Old Post Road, Bedford NY. Cheers!